Google's square barcode ad scheme: CueCat 2.0! I had seen mention of this odd plan by Google to show little barcodes in advertisements that were readable by cellphones and PCs. I was underwhelmed so I didn’t talk about it here but Joel Spolsky just pointed out that Google is essentially resurrecting the CueCat, one of the stupidest devices in all the land. 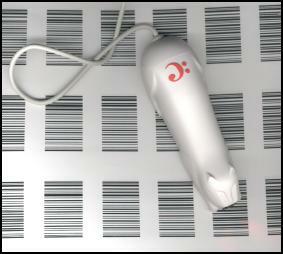 The CueCat was a little barcode reader shaped like a cat. You connected it to your PC and shot barcodes in magazines so you could see more information online. This is kind of like creating a buggy whip interface for an Audi, allowing Luddites and the Amish to power their vehicles simply by slapping the dashboard. Listen: it’s not that hard to go to www.hp.com or www.fakehotgoatmouths.com (please don’t visit that site. It’s my private refuge). Magazines, in their current form, are dying a slow, painful death and the last thing magazine publishers need is users heading off of the page to a website where they will eventually forget about the magazine. Sure, it gives advertisers some sense of “pageviews” but 95% of the readership will wonder what those little squiggles are and the other 5% will know and not care. Don’t do it, Google. Just don’t.